Film Forres is a community-based interest group which sets out to promote a range of community film activities for the Forres area. These include: film screenings for different age-groups (currently under-18s and over-18s, providing use of the film equipment to other groups for screenings, performance and related activities. In late 2018, after Margaret Cowie, the group chair, retired, Film Forres looked for a wider involvement from people interested in film, its community promotion and the social and educational potential it could offer. By December, we had reviewed our vision for the future and committed to continuing the film nights for young people while developing cinema experiences for older audiences, upgrading the equipment to current standards of quality and increasing community involvement in screenings and in film education for younger people. Film Forres now has a revised Constitution and we’re working through the website to get everything here up to date. So far we have a new User Agreement and updated online booking forms. Here is a brief historical background to the Film Forres project, taken from a report to Moray Council in 2010. “There are many activities in Forres for young people under the age of 11 including football, badminton, athletics, martial arts, youth clubs, to name a few. However large numbers of young people in their teens still feel ‘there is nothing to do’. As most young people enjoy films and going to the cinema it seemed the logical next step to providing an activity that would be all inclusive. In October 2007, Margaret Cowie, one of our Community Wardens, organised a Community Initiative to reduce anti social behaviour on Friday evenings in Forres. The Town Hall was chosen as a suitable building to use for a Cinema as it is spacious enough to hold large numbers and could be hired for a minimal cost. The Community Council were approached and, since October 2007, have funded all the lets. 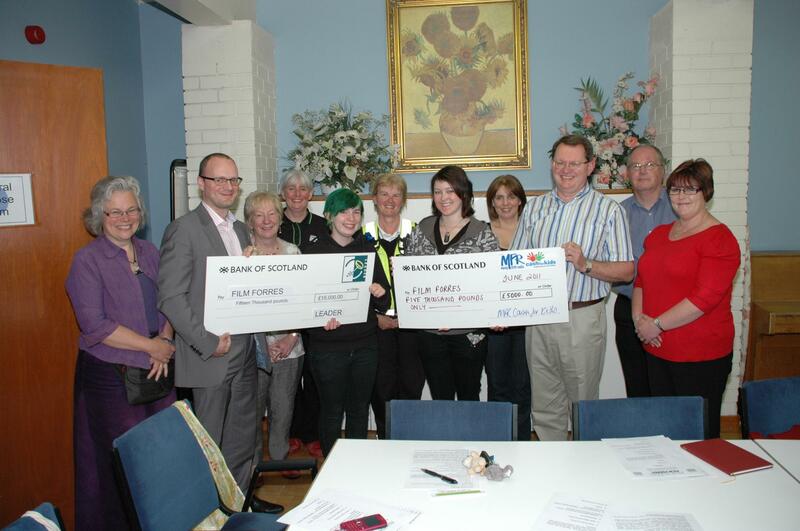 The annual Film Licence for Public Viewing, (Filmbank PSVL), is funded by the Community Initiative Fund, through Grampian Police and Moray Council. The equipment used at that time was a projector belonging to Grampian Police and laptop and speakers provided by Margaret Cowie. 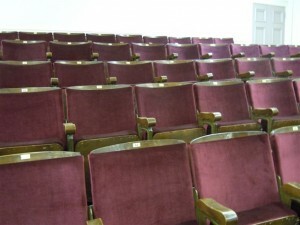 In 2007/08 October to March films were shown once a month with a maximum of 25 attending. This increased to twice a month 2008/09 due to demand with the addition of two showings for the different age groups. 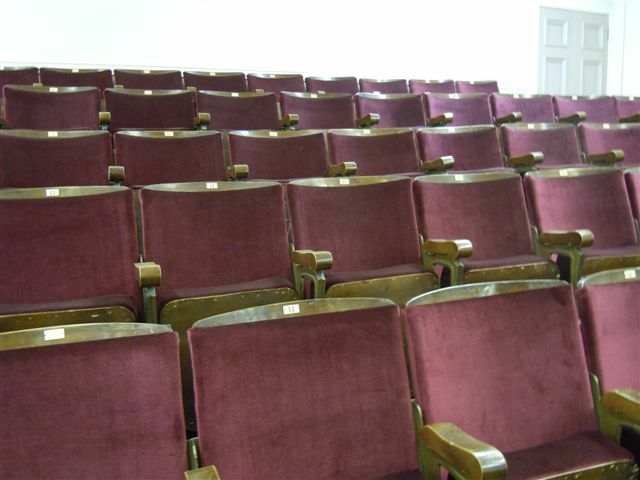 The maximum attending for both films was 64. The numbers continued to rise and for October to March 2009/10 saw the largest single audience of 73 and combined audience for two films 83 (charts included). October to April 2010 to 2011 still ongoing. It is encouraging that several young people attending are or have been involved in anti social behaviour and are choosing to come to an organised activity instead. Young people are now regularly asking when the next film shows are and have given very positive feedback (look at the quotes on the bottom of this page). On 24 March 2010 we formed a FILM FORRES committee to progress the upgrade to our facilities. Film Shows continued in their original format until we could buy and install an on-stage retractable screen, surround sound speakers and a projector in the balcony area. After two years on we installed a state-of-the-art projection facility to give local young people and other movie-goers a real 21st century movie experience. 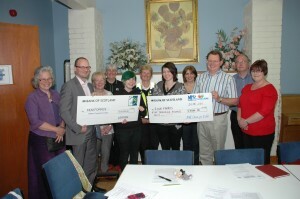 Publicity shot of the cheques we received. ‘We enjoy going to the Forres Town Hall. We like the movies and how it brings the schools together including some of the Academy children. We are looking forward to the next movies.